Can you create the following graph using desmos.com or some other graphing tool? If you’re victorious, leave us a note in the comments when you’re done. 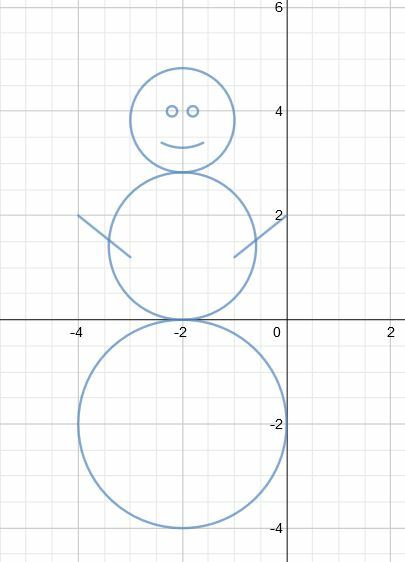 You’ll need 8 equations to create this snowman! Posted in: basic. Tags: circles, linear, quadratic. Great job, Liz! Feel free to embellish now… hat, carrot nose… and share your result!